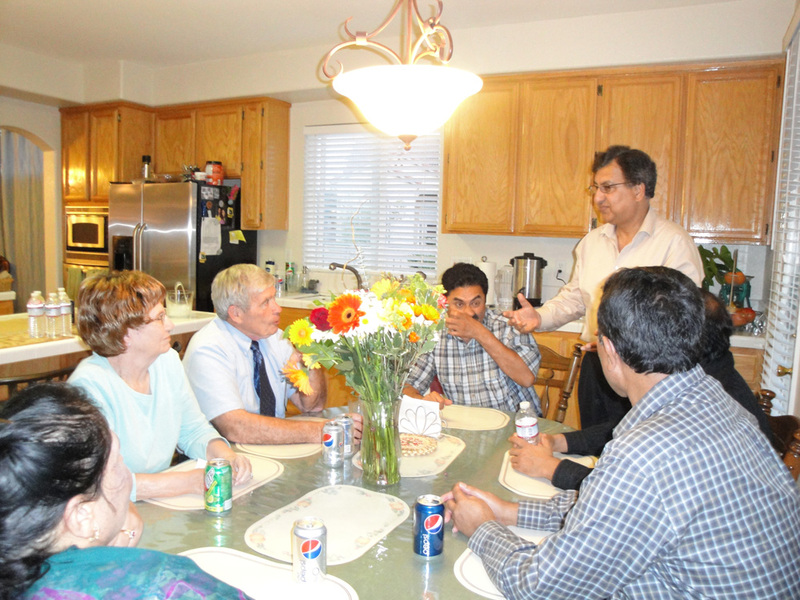 American Muslim Voice National President, Khalid Saeed, held a friendship dinner on April 24, 2010 at his residence in Sacramento. 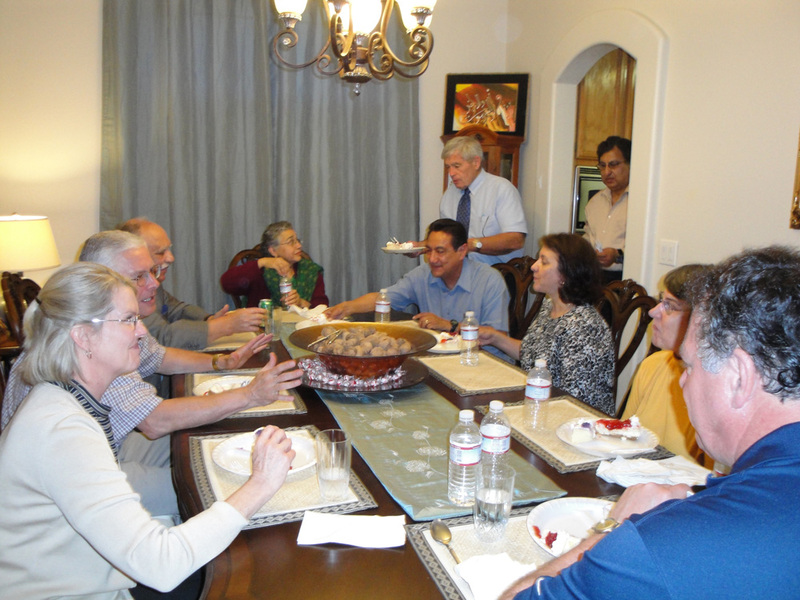 The sumptuous dinner was attended among others by the Mayor of Woodland, Dr. Skip Davis and Mrs. Julie Davis. Dr. Bill Marble Member City Council and Mrs. Sandy Marble. Dr. Zakaudin Vera and Dr. Sehreen Vera. Dr. Jesse Ortiz, President Latino Community Council and Mrs. Cruze Ortiz. Jim Smith, Editor The Daily Democrat Woodland and Mrs. Penny Smith. Riaz Ahmad, President Islamic Center Woodland and Mrs. Fauzia Ahmed. Samina Sundas, Founding Executive Director of American Muslim Voice. Usman Sadiq, President AMV Woodland Chapter president and Mrs Sadiq. Zahoor Ahmad, Secretary Islamic Center, Woodland and Mrs Razia Ahmad. 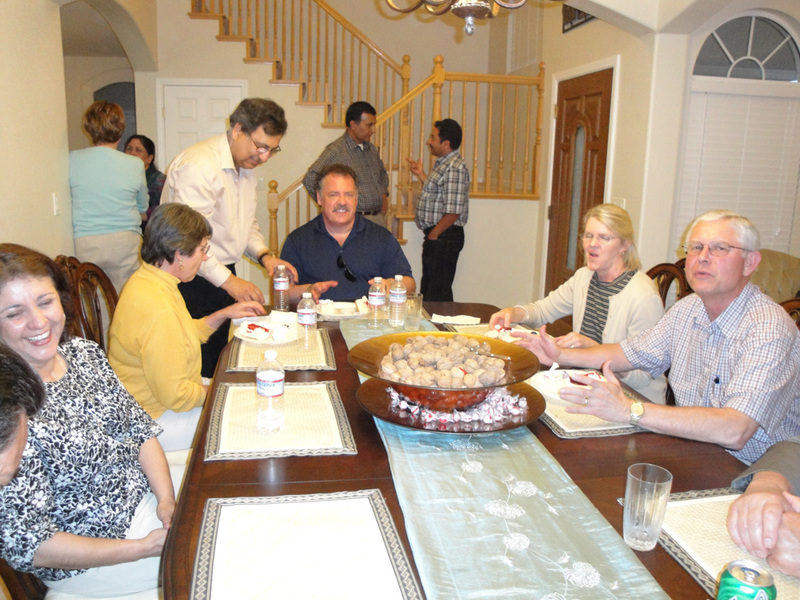 From left: Sandy Marble, Dr. Bill Marble Member City Council, Dr. Zakaudin Vera, Dr. Sehreen Vera; Dr. Jesse Ortiz, President Latino Community Council and Cruze Ortiz; Penny Smith, Jim Smith, Editor The Daily Democrat Woodland. In the background Dr. 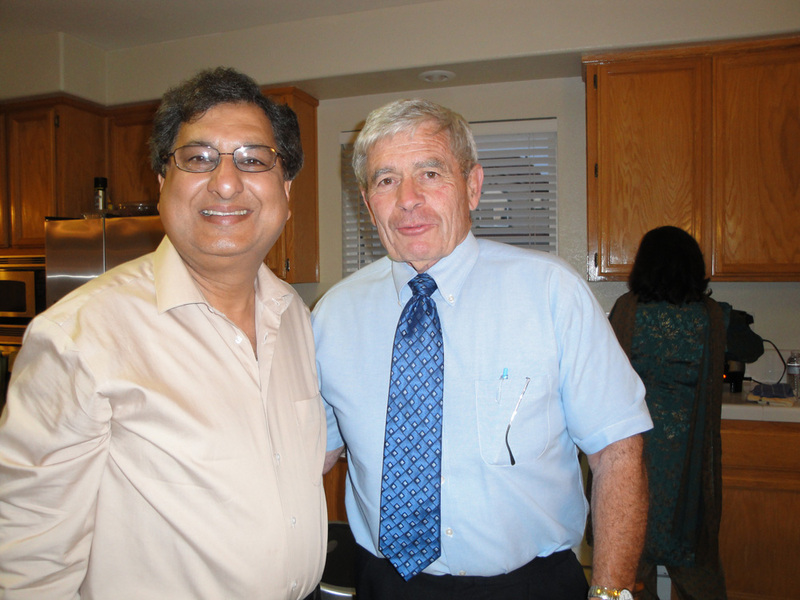 Skip Davis Mayor of Woodland California helping serve cake to the guests and Khalid Saeed is assisting him. 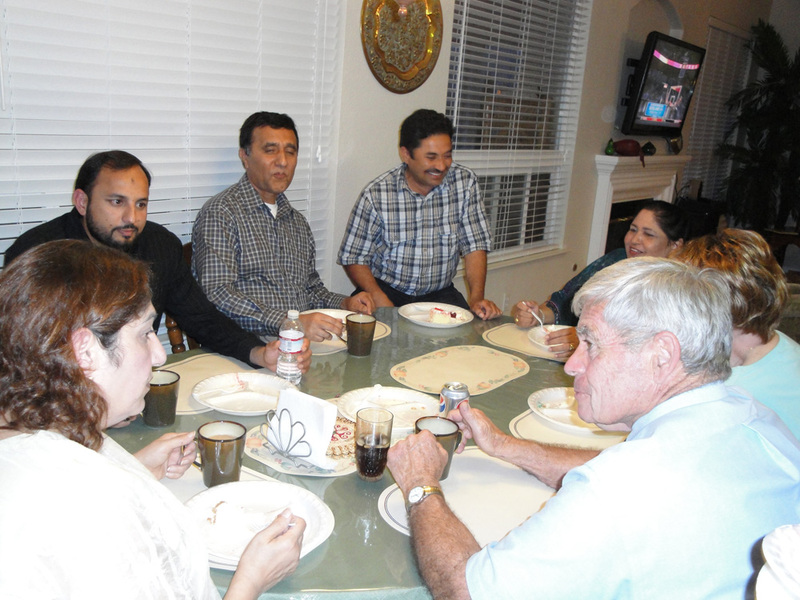 From left: Samina Sundas, Founding Executive Director of American Muslim Voice; Usman Sadiq, President AMV Woodland Chapter; Zahoor Ahmad, Secretary Islamic Center, Woodland; Riaz Ahmad, President Islamic Center Woodland and Mrs. Razia Zahoor Ahmad; Julie Davis and Mayor Skip Davis. 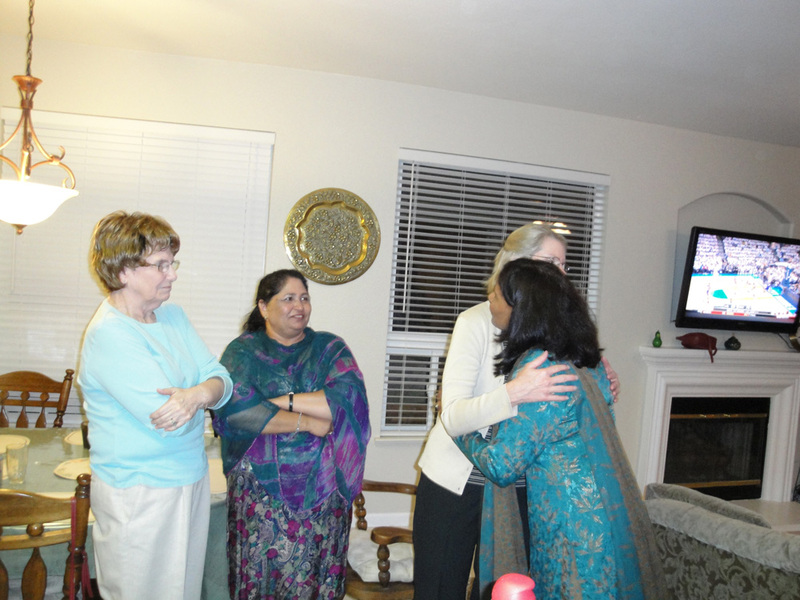 Hostess Nasreen Saeed welcoming Sandy Marble while other guests look on.